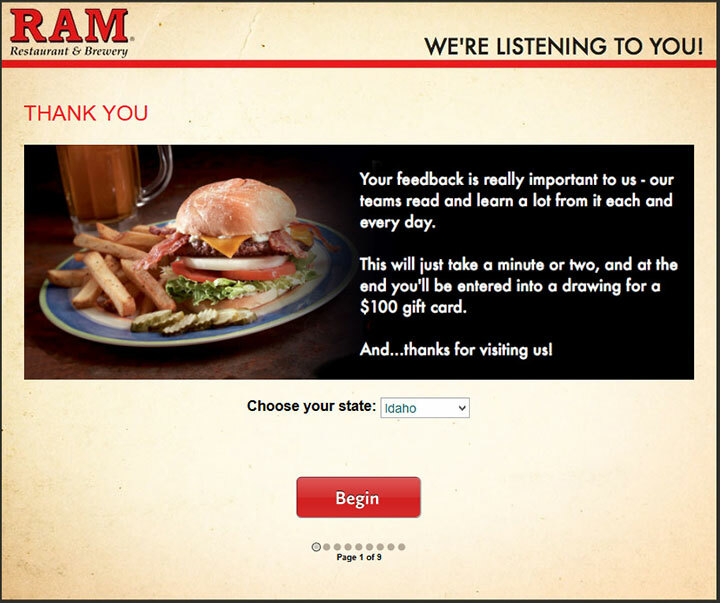 The RAM Restaurant & Brewery Guest Survey, found at www.TelltheRam.com, is an online questionnaire designed by RAM Restaurant & Brewery that rates customer satisfaction in many things. The survey is a way to provide information to the company with what needs to be improved. This survey is done online for your convenience.